If you are looking for the best for your vehicles exterior you have come to the right place. At Pride Auto Detailing we specialize in paint correction and ceramic coatings. We use the latest techniques and processes that will have your vehicle looking top form. We handle most all paint correction situations and if you want your exterior of your vehicle looking its best, you have come to the right place. buffer trails and other swirls from improper polishing techniques. Many inexperienced detail shops and local car washes just cover up and hide imperfections by applying waxes that contain "fillers" that wash away after the first rain and do not correct the problem. We at Pride Auto Detailing have spent years honing our skills to remove correctable paint imperfections and minimize the ones that cannot be completely removed. Once your car has been corrected at Pride Auto Detailing scratches and defects are permanently gone. We then help educate you on how to maintain the paint finish easily for years to come or we can maintain it for you through our maintenance programs. Once your paint is corrected then you have the choice of how to protect it. You can protect it with a wax if you like but most people are choosing to protect their vehicle with one of our ceramic coatings. Leaving your paint bare exposed leaves it subject to the adverse effects of oxidation caused by the sun, corrosion from salt in the winter, tar and asphalt from the roads, etchings from bird droppings, and other forms of chemical damage. 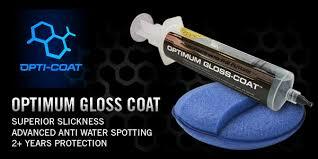 Without any paint protection, scratches and other forms of mechanical damage occurs directly on your clear coat. 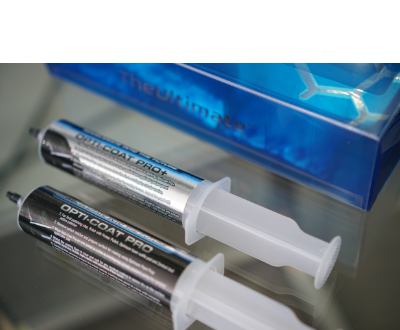 Optimum Opticoat ceramic coating products create a glass-like layer on your vehicles clear coat. This protective layer is made of high grade silicates, which molecularly bond to the vehicle at the time of application, creating an impenetrable barrier against mechanical and chemical damage. These coating products have the added benifit of making your vehicle much easier to clean and allowing it to stay clean much much longer overall. Call or text (417) 763-7626 for your detail and ceramic coating today!